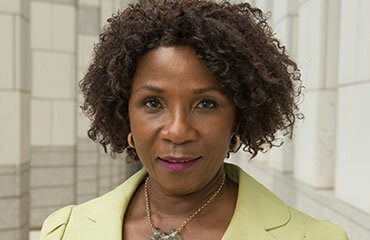 Dr. Mardia Stone is a Senior Advisor to the Division of Global Psychiatry Chester M. Pierce, MD Division of Global Psychiatry and Senior Advisor to the Liberia Center of Excellence in Mental Health and Psychiatry, working extensively on mental health issues, coordinating mental health research and training activities for MGH Psychiatry residents in Liberia. Dr. Stone is a public health and medical expert with extensive national and international experience at executive levels in management, policy and program development, analysis, and evaluation. Dr. Stone has successfully developed health systems and program strategies, and monitoring and evaluation methodologies for national and regional programs in Africa, many of which are supported by United Nations agencies, government, and nongovernmental partners. She has also worked with research and training institutions and private establishments in Africa, Europe, and the United States and has over a decade of experience working in post-conflict and resource-constrained countries. Dr. Stone served as the Senior Technical Advisor and Chief of Staff to the Deputy Minister of Health/Chief Medical Officer of the Republic of Liberia as a Yale University-Clinton Foundation Senior Fellow in International Healthcare Management and was instrumental in developing Liberia’s first National Health Policy and National Mental Health Policy. Dr. Stone was a member of the Ellen Johnson Sirleaf’s Presidential Transition Team, chairing the Transition Team on Health and Social Welfare. A broadcast journalist prior to her medical practice, she is an effective communicator, accomplished author, and public speaker. Dr. Stone is the author of Konkai: Living Between Two Worlds. Dr. Stone received her MD from Boston University School of Medicine, MPH from the Mailman School of Public Health at Columbia University, and BA from the University of Illinois, Chicago, concentrating in Political Science. She also has a Master’s Certificate in Global Mental Health: Refugee Trauma and Recovery from the Harvard Program in Refugee Trauma. She completed her residency training in Obstetrics and Gynecology at Long Island Jewish Hospital/Albert Einstein School of Medicine in New York, where she served as Chief Resident and has had significant clinical practice experience in the specialty.